Buyer Tips And Current Market Info! Relevent Market Information And Tips for Selling Your Home! 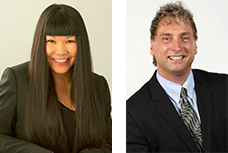 Phil Moore & Doris Gee is dedicated to providing their clients with the highest level of service. For professional and friendly real estate services, buy or sell your property with the expertise of professional realtors. Let Phil & Doris make your real estate experience a successful one!